Mumbai is known for the huge variety of options it has for food. If you ever visit Mumbai, you’ll never be disappointed with the food here, be it street food or in an up-market restaurant. Food outlets here have something to satisfy everyone’s palate. Similarly, couples who are looking to go out on a date can choose from many of the famous restaurants here. If you’re looking to go out on a date with your significant other, you will be spoilt for choice from the vast number of restaurants that dot this city’s landscape. We’ve made it easier for you to choose the perfect place for your date this Christmas and New Year! 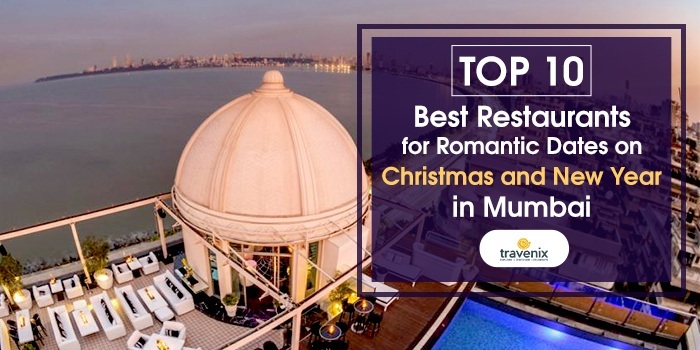 This café located in Colaba has some spectacular views of the bay of Mumbai, and on this rooftop, you can dine with your partner while gorging on some delicious caramel custard or fish fingers! The soothing ambience of this café is the perfect setting for a candlelight date and it’s not very heavy on your pocket either! The rooftop restaurant of the Intercontinental Hotel in Mumbai comes with a view of the Marine Drive and the beautiful Arabian Sea. Seeing the sunset from here and then having a candlelight dinner here is the perfect way to spend a romantic date on Christmas or New Year. Located on top of the St. Regis Mumbai, this bar is the highest rooftop bar in Mumbai, on the 40th floor and has sweeping views of the city’s skyline. Combine this spectacular view with the sophisticated ambience and you get the recipe for a perfect date! If you’re looking to celebrate New Year with your significant other in a peaceful manner, this is the place for it. Sitting by the huge windows of the Taj Mahal Palace Hotel and observing life progressing outside with the view of the striking Gateway of India and the Arabian Sea, you can celebrate the precious moments with your partner and enjoy some of the finest Italian delicacies available in Mumbai. 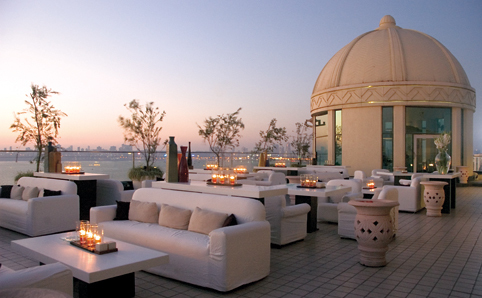 This sea-facing restaurant in the Oberoi presents you with breathtaking views of the entire Queen’s Necklace. What better place can there be for a romantic date? With gourmet Indian cuisines being served to soft music playing in the backdrop, everything here is just perfect for couples. One of the highest bars in Mumbai, Aer in the Four Seasons Hotel in Worli gives you the finest views of the Mumbai skyline from the 33rd floor. The splendid minimalist interiors of this rooftop bar are sure to win your heart and the food here complements it all. You simply cannot miss out on visiting this place. Located in Juhu in the beautiful Novotel Hotel is Gadda Da Vida. Located right at the beach, this restaurant is the perfect place to witness sunsets with your loved one. You can enjoy the cool breeze here with delicious food and music! This restaurant in Colaba is warmly lit and has amazing views of the Arabian Sea. 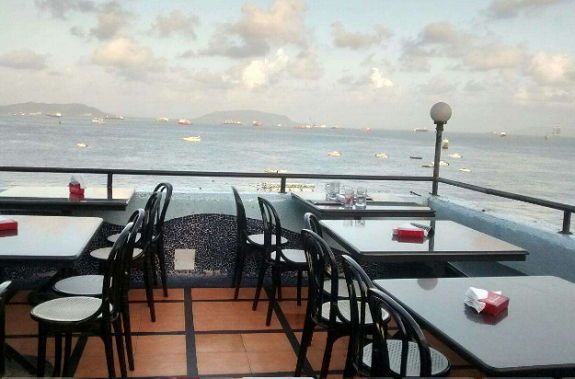 If you’re looking for a place where you can indulge in some delicious Indian food and enjoy the views at the same time, this is definitely the place for you. Moreover, it’s not too heavy on your pocket either! 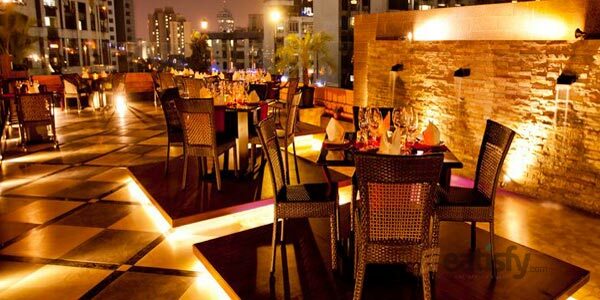 Spectacular ambience and a lively atmosphere is what describes La Patio in Andheri. This rooftop restaurant and bar offers multiple cuisines and even has a live band and karaoke performances. You can also choose to dance your night away and welcome the New Year with your loved one here. Looking to celebrate New Year in a cozy and peaceful environment? This is the perfect pick for you. Tucked away inside the Ramada Powai, this restaurant serves South East Asian cuisine and tables here are separated by plants and water islands. A romantic new year is definitely what you will get here. If you’ve ever celebrated Christmas and New Year in any of the above places with your partner, do let us know your experiences in the comments below. If you haven’t done so already, do visit them this year and rediscover your love for each other.